New York Gov. Andrew Cuomo./a katz (Shutterstock.com). New York Gov. 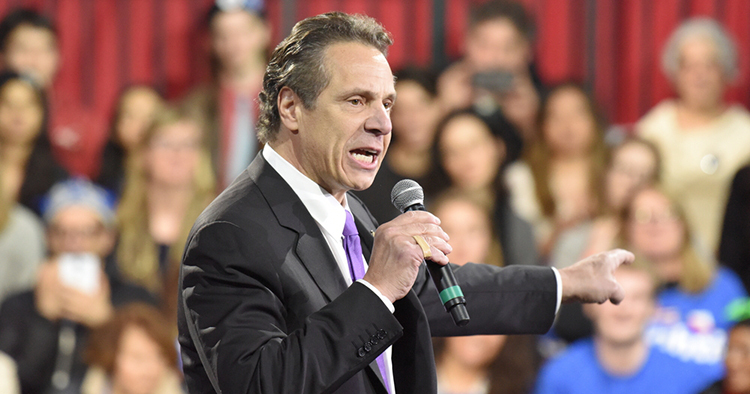 Andrew Cuomo’s adminstration is willing to provide a referral to the state attorney general to pursue criminal charges against the Donald J. Trump Foundation. The governor’s counsel, Alphonso David, said in a statement Wednesday that the state stands ready with a criminal referral to New York Attorney General Barbara Underwood “if and when she asks for it,” report the New York Law Journal and Reuters. The New York Times reported on Wednesday that the state tax department had reportedly opened an investigation into whether the foundation violated state tax laws, which could provide a basis for a referral. Underwood filed a civil lawsuit last month that seeks to dissolve the foundation and to bar Trump and his three oldest children from serving on state nonprofit boards for a limited period. The suit alleges Trump used the foundation’s charitable assets to pay off legal obligations, promote his hotels and other business interests, and buy personal items. Restitution of $2.8 million is sought. A spokesperson for Underwood said the office has already referred apparent violations of federal law to the Internal Revenue Service and the Federal Election Commission. “We continue to evaluate the evidence to determine what additional actions may be warranted, and will seek a criminal referral from the appropriate state agency as necessary,” the statement said.